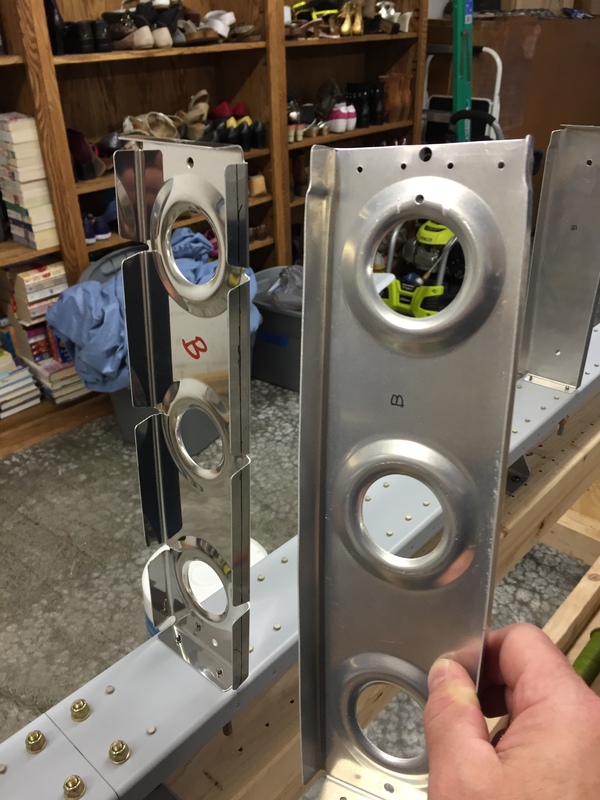 I wasn’t happy with the way the HS-405 inboard main ribs for the horizontal stab turned out after modifying them per the service bulletin (SB14.01.31). So, I ordered new ones. Although, I ordered the HS-405s, they are now identified as “for RV-4 only”. The new ribs I received were HS00005. I was pretty sure these were the correct replacements for airframes with the service bulletin completed. But, not having anything in my possession that stated that, I wanted written clarification from Van’s. So, I emailed them and got a response back the next morning with confirmation that these are in fact the ribs I need to install and there’s no need to modify them per the SB. In the meantime, I worked a little bit on the rudder, cutting the stiffeners for one side to rough length. 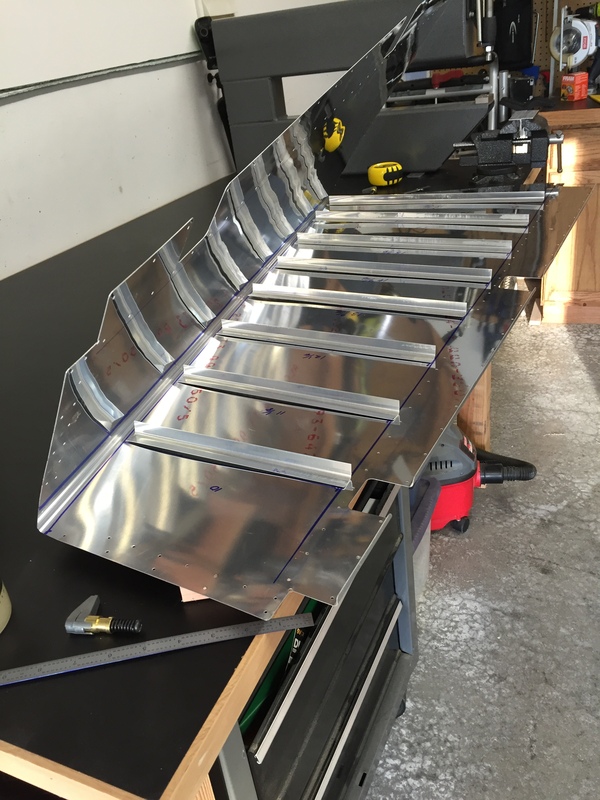 Rudder stiffeners cut to rough length.